The Embassies Festival is an event for the wide audience, entrance will be free of charge and, for this first edition, the organizers are proud to announce the participation of 50 embassies, cultural institutes and international organizations, as follows:, Algeria, Argentina, Armenia, Azerbaijan, Belgium, Chile, China and the Confucius Institute, Cyprus, Cuba, Delegation Wallonie-Bruxelles, El Salvador, European Commission Representation in Romania, Hungary, The Information Office of the European Parliament of Romania, India Cultural Centre Rabindranath Tagore, Indonesia and Cultural Center Indonesian, The International Organization of Francophone International Organization for Migration, Ireland, Japan and the Center for Romanian-Japanese Studies “Angela Honduras”, Jordan, Malaysia, UK and the British Council, Morocco, Mexico, Pakistan, Palestine, Peru, Russia and the Russian Center of Science and Culture, South Africa, South Korea, Spain, Syria, United Arab Emirates, USA, Tunisia, Turkey, Turkmenistan, Uruguay, Venezuela, The Romanian Cultural Institute, The Romanian Peasant Museum, The National Museum Complex “Moldova”, Luminu by Luminish & Workshop Book, Doina Ensemble, Ensemble ELLAS (Greece), Asia Fest, and of course the host country, Romania, which will have its own cultural program. 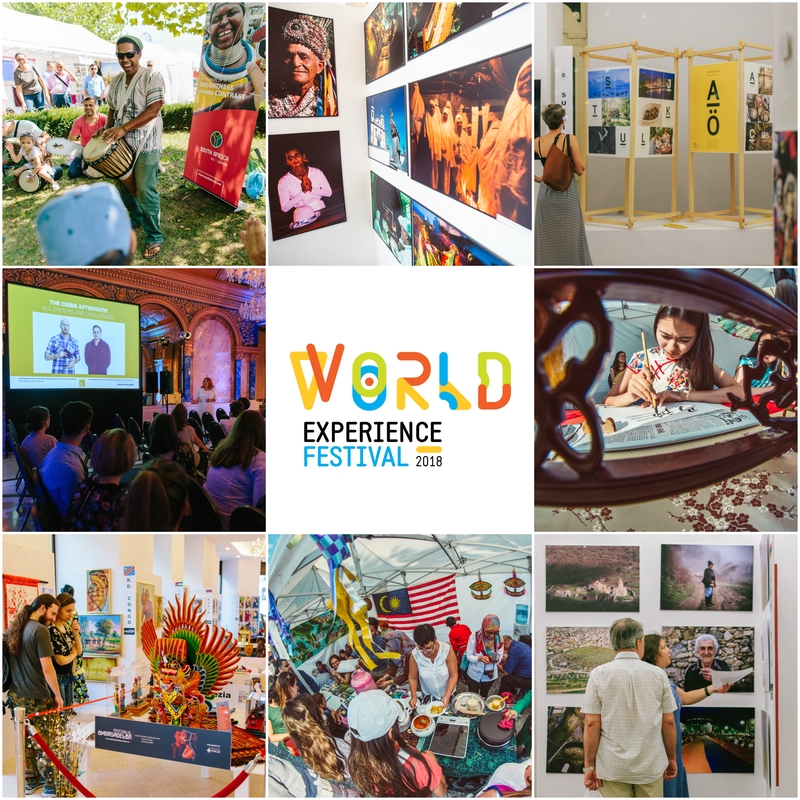 The Embassies Festival will begin on the 1st of September 2015, at the ground floor of Romania’s National Library, with an exhibition under the concept “A journey around the World”, which houses the participation of 19 embassies and The Romanian Cultural Institute. The 18 diplomatic missions are: Armenia, China, Great Britain, Indonesia, India, Ireland, Japan, Malaysia, Mexico, Nigeria, Russia, South Africa, South Korea, Syria, United States of America, The Unites Arab Emirates, Turkmenistan, Uruguay, and Venezuela. Along with theirs, Romania will be having its own program, the central piece being a painted ceramic bowl from the Cucuteni Civilization, dated 3.500 BC, Cucuteni civilization being considered as one of the most representative old Neolithic cultures in the world. Among Romania’s exhibitions there will also be a series of authentic heritage Romanian costumes, amongst which will also be two costumes belonging to Queen Mary. The exhibition’s curator is Iulia Gorneanu, a well known ethnographer. Romania will also be presenting the project LUMINU by Luminish, a Manufacturer’s Order Association based concept, which consists of a spectacular installation collage with decorative lightening objects made out of manually recycled paper, which represents an intercultural dialogue about paper and its role in the world. 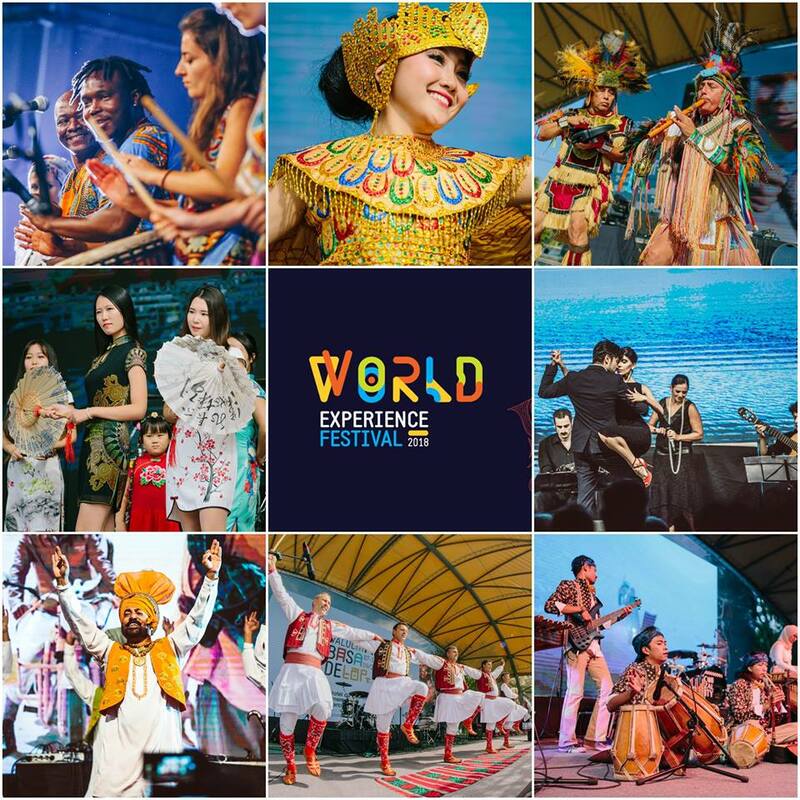 The entire exhibition is made after a unique artistic concept which will allow visitors to travel from one world meridian to another, through a diversity of installations, artisanal objects, traditional costumes, photography, statues, musical instruments, paintings and cultural practices. On the 3rd of September, at 6:00 P.M., it will be organized the official launch of “Visionbot”, a technological invention designed by Ionuț Budișteanu, one of the most acclaimed young Romanian inventors, known for his remarkable results, obtained at international science and engineering competitions. The Exhibition’s program, which will last until the 4th of September, takes place between 10:00 A.M. and 8.00 P.M. The entrance is free of charge. The South Korea Embassy will be hosting an exhibition on traditional art reviewed in contemporary fashion at the Galateca Gallery, 1st- 5th of September, 12:00-10:00 P.M. hours. Another dimension of the Embassies Festival is the cinematographic projections that will take place at Studio Cinema, where there will be screened several artistic movies and documentaries between the 1st and 4th of September, as recommended by 14 of the following embassies and organizations: Armenia, China, Great Britain, India, Indonesia, Japan, Romania, Russia, Spain, Syria, The International Organization for Migration, The United States of America, Uruguay, Venezuela. Some of the productions, which will be released with this occasion, are at their first broadcasting in Romania, even in Europe. There entrance will also be free for visitors. 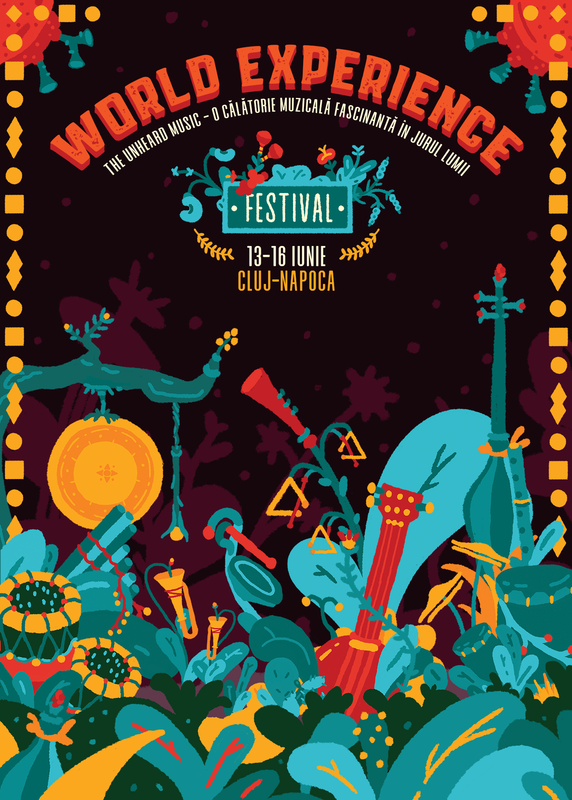 The main focus of the Embassies Festival will on be the events that will take place at Tineretului Park – Lumea Copiilor, on the 4th and 5th, between 3:00 P.M. and 10:00 P.M. Everyone can visit the stands of the 50 embassies, cultural institutes and international organizations, were numerous exhibits and habits and cultural traditions from all around the world will be presented, as well as culinary tastings and interactive workshops. In complementing the cultural dialogue that the Embassies Festival event is suggesting, Euro Est Alternativ Cultural Association, a very well known and appreciated worldwide cultural-gastronomic organization, will be hosting a series of spectacular gastronomic demonstrations for the public, specific of traditional Romanian cuisine. Furthermore, a stage will be arranged for the public, so that everyone can participate in witnessing the culinary moments, held by the embassies staff and will have the opportunity to taste products from restaurants with international culinary tradition and flavor (from Belgium, China, Great Britain, Hungary, Spain, Turkey etc.). Also, an area called “The Children’s Embassy” will be arranged, where workshops, plays, cultural-educative games in foreign languages will be organized, as well as an establishment for crafting, which will attract the attention with the unique and archaic way, for example, manual paper is being processed, with printing and paper casts from Atelierul de Carte (The Book Workshop). Other stands will participate in showing how traditional carpets are woven, how laicerele and paretarele of wool are vegetally painted, how traditional masks and ceramic figurines are made, the way peasant furniture pieces are designed and how various jewelry and handmade objects are crafted along different cultures. On the stage, artists from four continents will perform artistic shows on the 4th of September, as well as on the 5th, between 5:00 P.M. and 10:00 P.M. Singer, dancers and instrumentalists from Argentina, Great Britain, Greece, India, Ireland, Japan, Peru, Russia, South Africa and Venezuela will be hosting a few original programs. Public access is free in the Tineretului Park – Lumea Copiilor entrance. 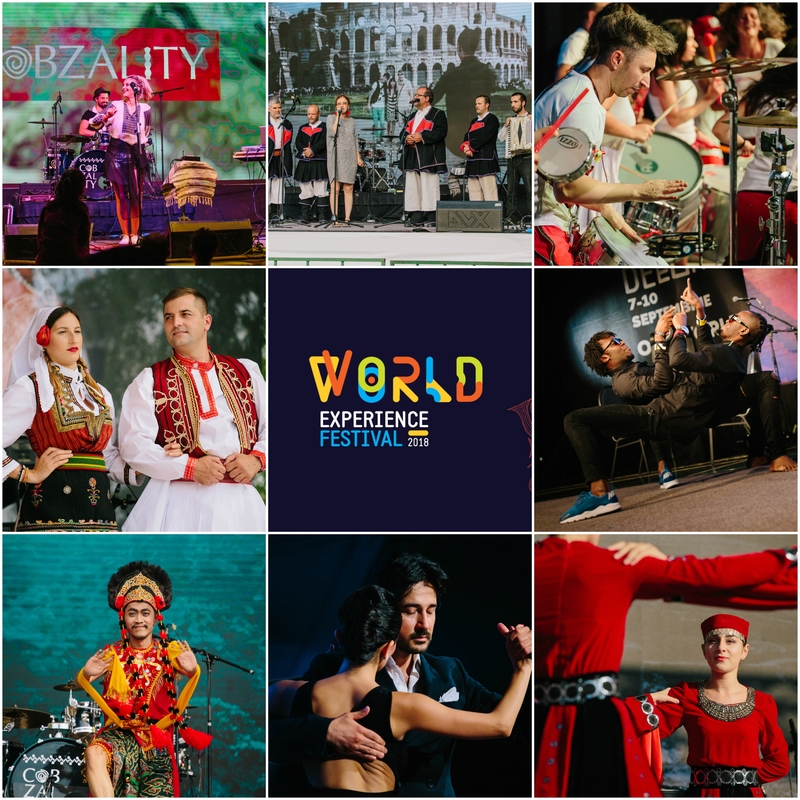 We are looking forward for you to join us at the Embassies Festival, between the 1st and 5th of September, where you will be able to travel around the world in just a few days, with the opportunity to celebrate international diversity through an adventure meant to set Bucharest as a multicultural Capital that promotes intercultural exchange. The Embassies Festival is a signature event and product of the ESCU Association, held in partnership and with the patronage of The Ministry of Foreign Affairs, as well as with the support from The Ministry of Culture, National Library of Romania, District 4 City Hall, “Ion Dacian” Opera and Music Theatre, The Romanian Filmmaker’s Union, The Romanian Cultural Institute, Euro Est Alternativ Cultural Association, The National Museum of the Romanian Peasant, “Moldova” National Museum Complex from Iași, Bucharest Tourism Board Association, The National Associations for Consumer’s Protection and InfoCons Promoting Programs and Strategies in Romania. Sponsors: BCR, Coca-Cola, Telekom, Mercedes-Benz, Medlife, Ursus, Mega Image, PPD Romania-Photos Photiades Group, Avon, Nescafe Dolce Gusto. Media partners: Intact Media Group, TVR and TVR Internaţional, Agerpres, RFI, Forbes, Business Review, Radio România Cultural, Jurnalul Naţional, Romania-Insider.com, City Compass, Oraşul Meu, Adevarul, Metropotam.ro, Europa FM, Feeder.ro, Decât o Revista, Bursa, The PR Journal, Debizz, Port.ro, Gala Societaţii Civile, Enciclopedia Muzicala a României, orasulvechi.ro, The Romania Journal, realitateabucuresti.ro, Mixtopia. Logistic partners: Asociatia Culturala Euro Est Alternativ, Wedothat Agency, Mind Shop Advertising Agency, Brigada de Voluntari, Arena Events, Lockwire Design, Galeria Galateca, Romexpo, AGS Movers, Gaspeco. Educational partners: The League of Romanian Students from abroad, AIESEC Romania.